Harry N. Abrams, 9781419728600, 272pp. Tiffany Schmidt is a former teacher who lives and writes in Doylestown, Pennsylvania. She is also the author of several young adult thrillers and dramas for Bloomsbury. 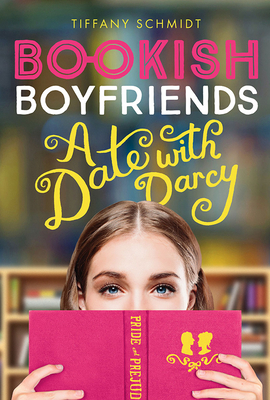 Her first book in the Bookish Boyfriends series, A Date with Darcy, released in May 2018. "Schmidt ably captures the discombobulation and turn-on-a-dime emotions experienced by many early teens, and surrounds Merri with a believable cast of supporting characters. This contemporary rom-com series starter is a fun introduction to classics for middle-grade readers and younger YAs, wittily making old stories new again." "Schmidt unapologetically places romance, and more romance, at the heart of this YA novel for younger teens . . . Ultimately Schmidt pits Romeo against a Mr. Darcy type in this romantic comedy (complete with Bridget Jones-like mishaps), whose heroine must open herself to the idea that the boy she least expects may turn out to be her real romantic hero"
"This meshing of romantic classics and modern-day relationships is over-the-top good fun for tween romantics." "A good choice for large romance collections."